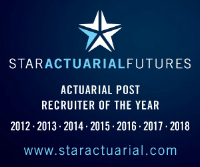 Our client, a life insurance company, is looking to hire a near- / newly qualified actuary. You will deal with quarterly reporting (supporting the reporting team from an actuarial perspective) and maintenance & further development of existing models. Other important parts of the role include projects concerning Solvency II & MCEV. The ideal candidate will be a near- or newly qualified actuary. Prophet modelling skills and experience with product development, pricing and/or reserving within life insurance are expected.